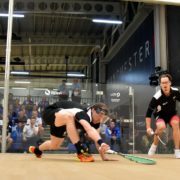 Defending champions Greg Lobban and Alan Clyne will meet second seeds Ryan Cuskelly and Cameron Pilley of Australia in the final of the WSF World Men’s Doubles in Manchester tomorrow (Saturday) after surviving an 82 minute last four epic. 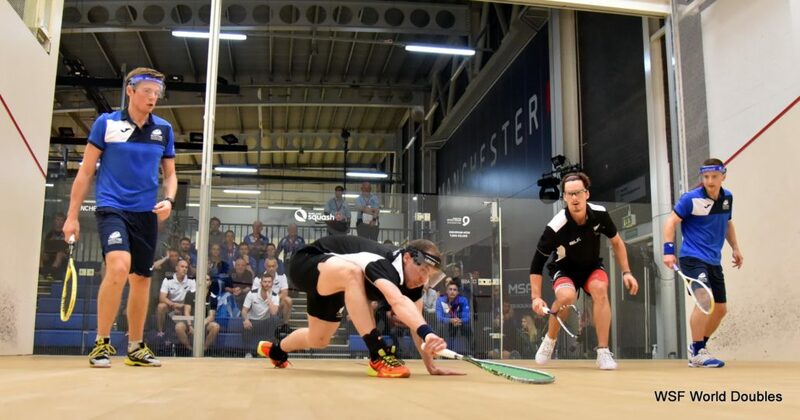 Lobban and Clyne took the first game 11/7 in their semi-final this evening against Kiwis Paul Coll and Campbell Grayson before, from 1-7 down, the New Zealanders levelled, taking the second game, 8/11. But despite that setback the Scots held their nerve against the fourth seeds to seal their place in a second successive world final. 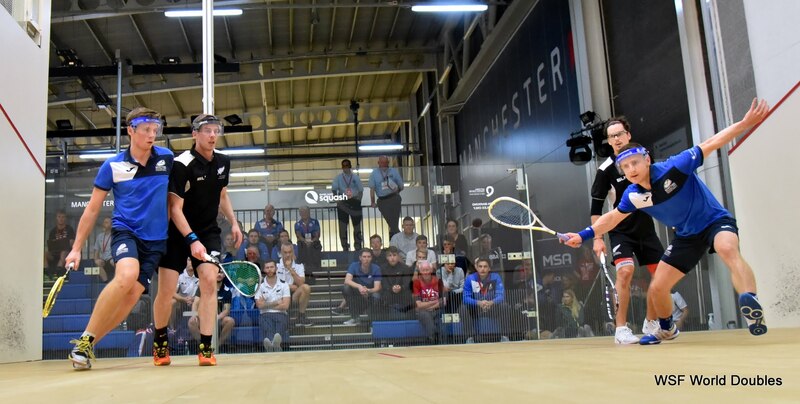 Cuskelly and Pilley beat England’s Declan James and James Willstrop, 11/3, 11/7 (37m) in their semi-final clash. 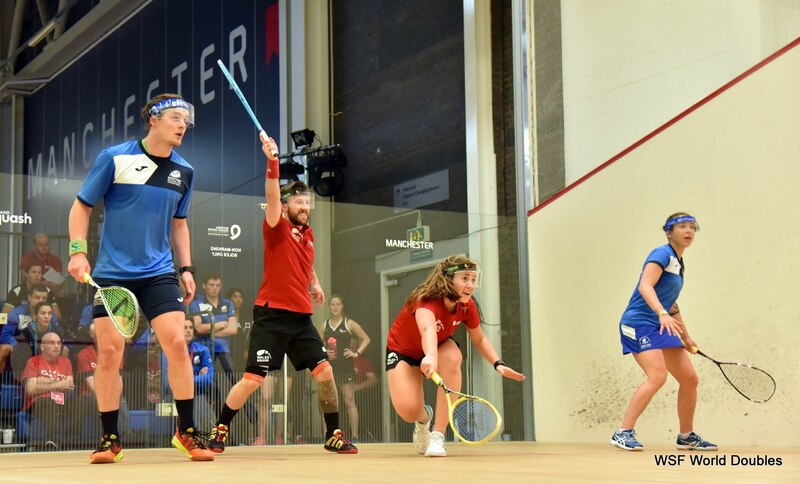 Meanwhile Lisa Aitken and Doug Kempsell lost an engrossing mixed doubles quarter-final against Welsh pair Peter Creed and Tesni Evans this morning in a tense, hour long match 6/11, 11/6, 11/9. Aitken and Kempsell can be proud of their efforts having beaten number one seeds and defending champions Joelle King and Paul Coll from New Zealand in the group stages. The Kiwis will meet England’s Daryl Selby and Alison Waters in tomorrow’s final at 3pm.